Sudha Murty was born in Shiggaon in north Karnataka. She did her M.Tech in computer science, and is now the chairperson of the Infosys foundation. A prolific writer in English and Kannada, she has written novels, technical books, and travelogues, collection of short stories and non fictional pieces and four books for children. 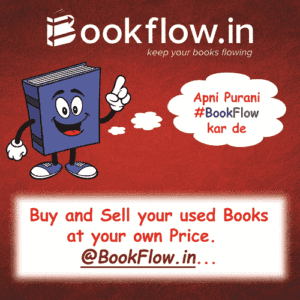 Her books have been translated into all the major Indian languages. She was also the recipient of the R K Narayana award for literature and the Padma Shri in 2006, and the Atimabbe award from the government of Karnataka for excellence in literature in 2011. Now about the book, I was searching for a good book to read as I was bored with reading chick-lit tales and fantasy. I came across this book and immediately bought it without giving it a second thought. I started reading it and whoa! I finished it within a day!!! The story was so intense that you just couldn’t put down the book and do anything else. 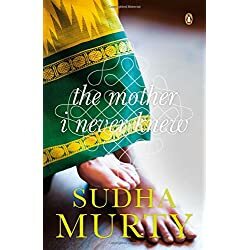 Sudha Murty’s storyline and the characters are mostly set in northern Karnataka and Bangalore, and it feels good to read about a new culture. Her style of writing, the language she uses is so simple and lucid and the book haves you glued to it. The novel is about two individuals: Venkatesh and Mukesh. Both the stories are not linked with each other. Both individuals are searching for a mother they never knew they had. Venkatesh, a bank manager lives with his family in Bangalore. He has a son and a daughter. One day he gets transferred to Hubli. He is reluctant about this, but decides to go anyway. His wife, Shanta is very dominant in nature and very business-minded. She doesn’t understand relations/emotions; all she wants is to make more money. Venkatesh stumbles upon his lookalike one day and discovers a dark secret of his father’s life. He is determined to make amends to his stepmother and repay his father’sdebt. Will Venkatesh succeed in doing so is the story. Will Venkatesh’s family accept his move of repaying his father’s debt? Read the book to find out. Mukesh, a young BBC program executive comes to know after his father’s death that he was actually adopted. He is determined and sets off to find his biological mother. But, life has other plans in store for him. The deeper he searches, more secrets show up!! He gets confused about his loyalties. Who is greater? His biological mother or the parents who made him who he is today! 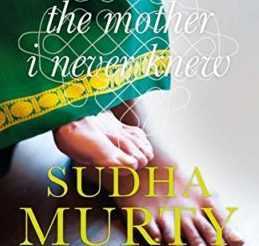 The mother I never knew by Sudha Murty is a beautiful book exploring human relations and which touches our heart strings! Books like these are hard to let go! Sudha Murty handles all the complex human emotions with ease in this book and you actually start to feel the protagonist’s pain. Don’t let this book go. It is a MUST in your collection.